Income-Tax Department announced for Tax payers to update the contact details in e-Filing Portal. Income-Tax Department uses the registered contact details (Mobile number & E-mail ID) for all communications related to e-Filing. It is noticed that many registered users are not having authenticated contact details in e-Filing or may have provided details of other persons for convenience. This prevents the Department from interacting directly with taxpayers on their personal email address and Mobile. In this option, we give you a facility to come out from this restriction. This feature is free except Mail Setup facility. 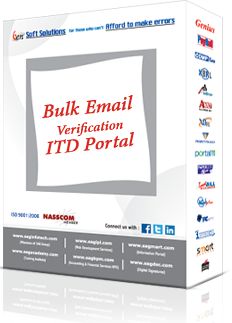 For the use of ‘Mail Setup’ Facility, customers need Domain and Hosting. This facility will work only in case the subscription is taken from SAG Infotech. The subscription will be free for CA portal users. It will not be functional if the customers have their own hosting and domain. After the realization of the amount, the process of domain and hosting creation will be commenced. The activation of the same will take minimum 48 working hours after the same. Once you have subscribed for this service, the amount will not be refunded in any case, so client should go through all the terms and conditions before purchasing. In case the server is down due to any technical reason, SAG Infotech Pvt. Ltd. shall not be responsible for any discrepancies, as the company reserves no rights on server side. Services will be applicable for one year from the date of creation of hosting and domain. The newly introduced feature in our income tax software is payable for clients. Note: The renewal price will be 2000 + Taxes for (Domain + Hosting) and 1500 + Taxes for (Hosting).